Gutters and Downspouts - Additional Services - L.E. Schwartz & Son, Inc.
Schwartz Residential Roofing is your premier gutter installer in Macon and Warner Robins. Without gutters, water spilling off the roof will cause damage to siding, windows, doors, landscaping, concrete and masonry, and the foundation of your home. Water pooling around your home’s foundation can stain walls, rot wood framing, flood the basement and even crack a cement foundation. 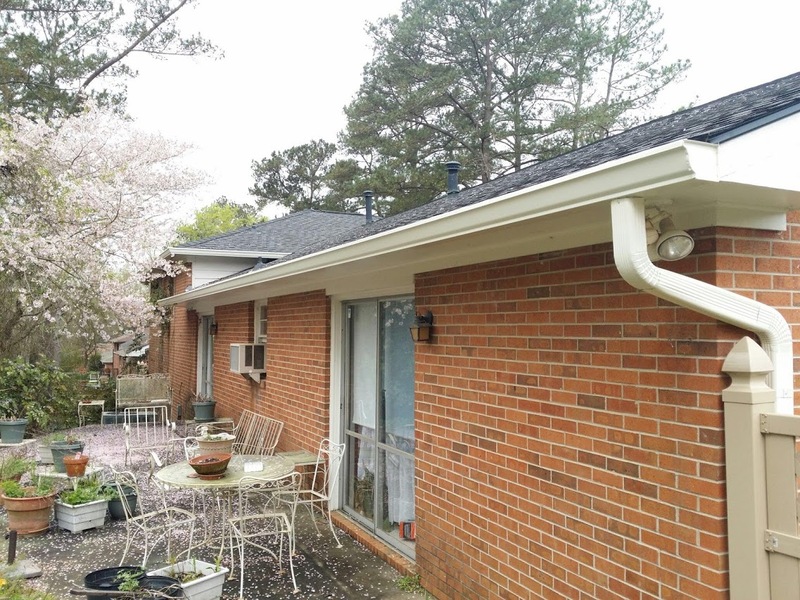 A properly functioning gutter and downspout system from Schwartz Residential Roofing can prevent water from entering your home and causing flooding and structural damage. Our gutter systems include a seamless aluminum gutter system and 3x4 aluminum downspouts to handle almost any amount of runoff. Our gutters come with a 40 year finish warranty and a 5 year LE Schwartz leak free warranty. Install Gutter Guard protection systems. We can install gutter guards to help maintain clean gutters for you year round. Our guards feature a powder coated surface for durability. They let water in while keeping the debris out.